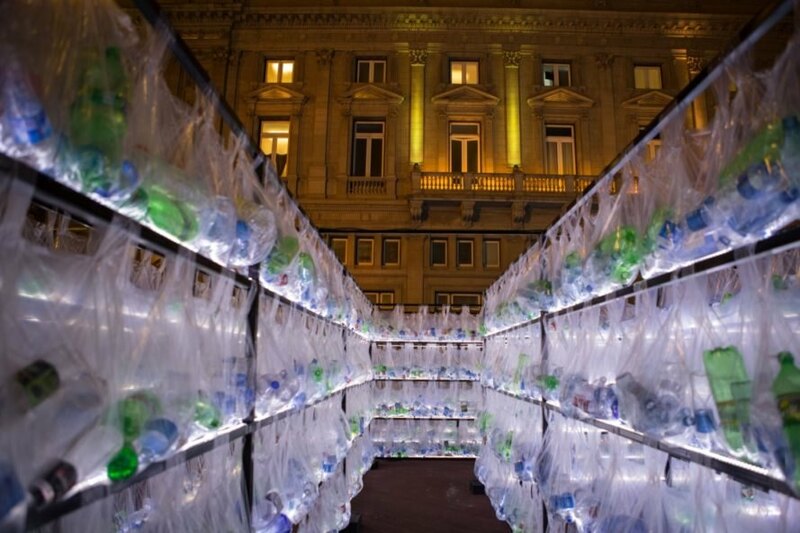 Over 15,000 plastic bottles were temporarily given a new lease on life as a glowing labyrinth in Vatican Square, one of Buenos Aires’ most celebrated public spaces. Designed by environmental art collective Luzinterruptus, the Plastic Waste Labyrinth calls attention to the staggering amount of waste generated everyday in a thought-provoking installation. 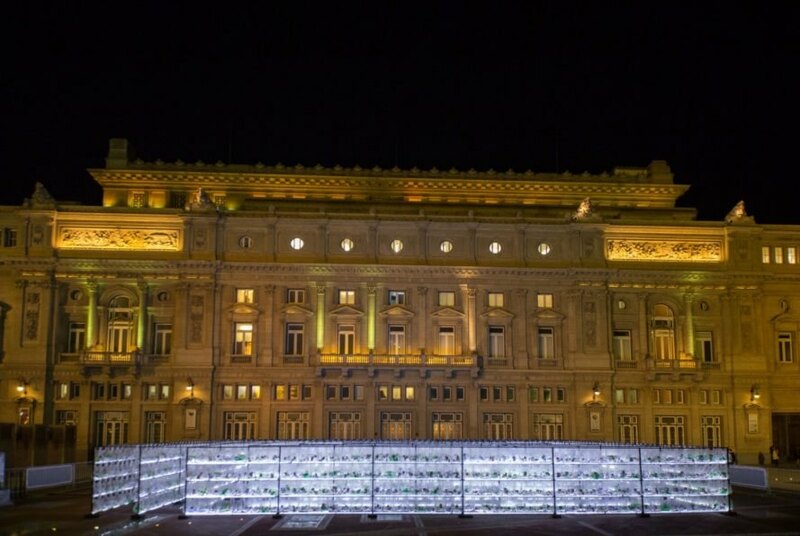 Commissioned by the Department of Environmental and Public Areas of Buenos Aires City Government, Ciudad Verde, the immersive artwork was installed for one week and open 24 hours a day as part of Global Recycling Day. 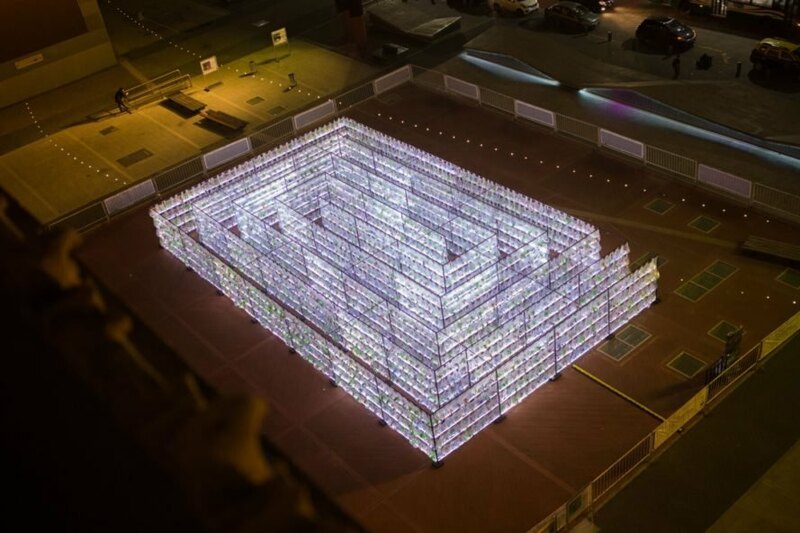 Previously installed in Madrid and Katowice, the Plastic Waste Labyrinth is a site-specific piece constructed from waste collected from the surrounding area. To show which beverage brands generate the highest amount of waste in Buenos Aires, the architects left the bottle labels on. More than 15,000 plastic bottles were collected from the city with the help of several urban recycling cooperatives. The labyrinth is illuminated with cool white LEDs that turn the labyrinth into a glowing space at night. At the end of the event, the Plastic Waste Labyrinth was dismantled and all the plastic was recycled. 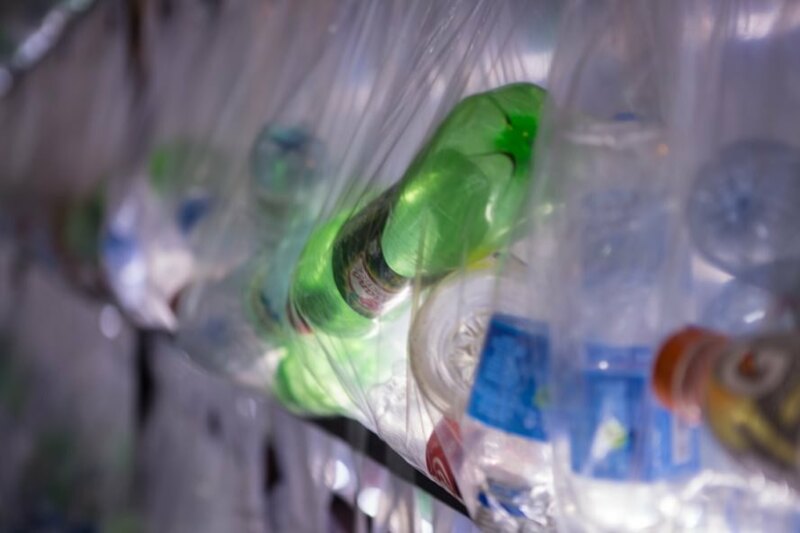 The bottles, cleaned and sorted by color, were sent back to the city’s recycling cooperatives, while the bags were returned to the manufacturing plant, where they would be melted. The installation was located at Buenos Aires' Vatican Square. The maze covers an area of 1,550 square feet. The labyrinth stretches over 650 feet in length. 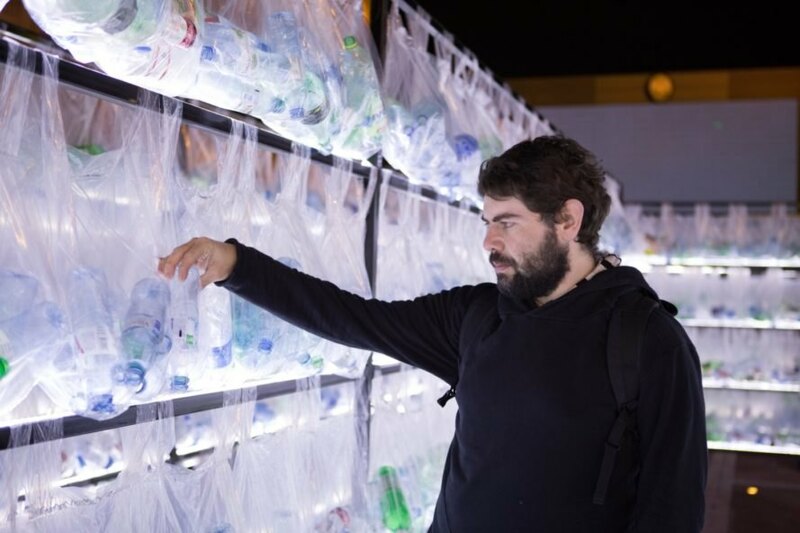 The immersive artwork was installed for one week and open 24 hours a day as part of Global Recycling Day. A U-turn was added in the maze to disorient visitors. The bottles were sorted into plastic bags. The labels were left on the bottles. 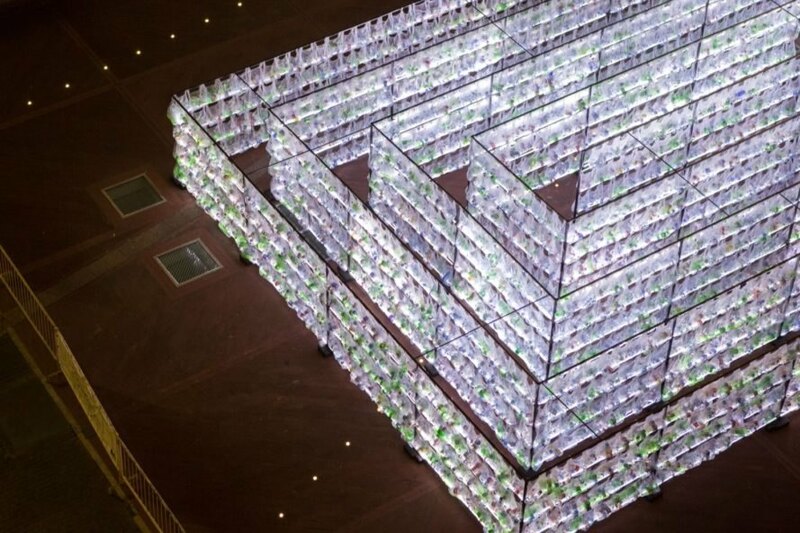 The maze raised awareness for recycling on Global Recycling Day.